As a pediatrician who works exclusively with healthy newborns, I spend my days being a cheerleader for breastfeeding moms. I help moms with their baby’s first latch and reassure them when their baby loses a little bit of weight. I give tips to family members on how to best support a breastfeeding mom and baby. Helping families start a successful breastfeeding relationship is one of the best parts of my job. So when I became pregnant with my second baby, there was no doubt in my mind that I would breastfeed him. I had much more confidence as a second-time mom, and I planned to do skin to skin with my son right after delivery, an experience I missed with my daughter. I envisioned our breastfeeding relationship getting off to a great start. My son had other plans in mind. 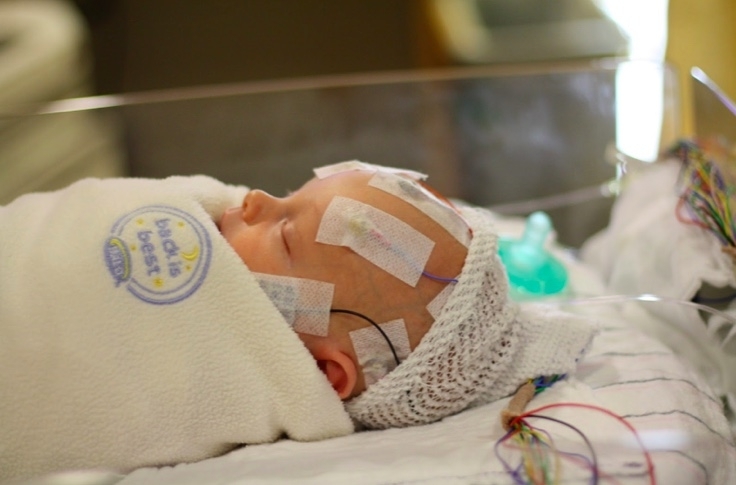 After a normal pregnancy and delivery, my son developed breathing problems shortly after birth and had to be transferred to the neonatal intensive care unit. 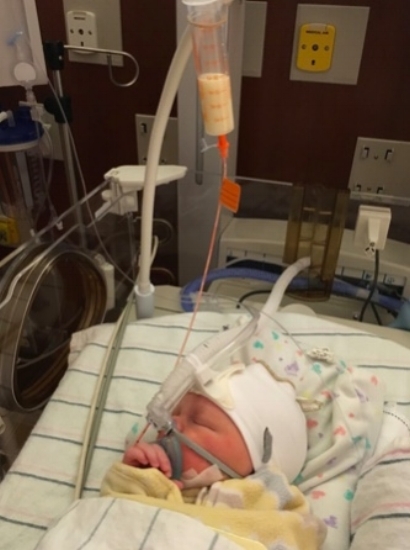 Because he was on CPAP (a machine to give extra breathing support), he was not able to breastfeed or bottle feed. All of his feeds went through a tube from his mouth into his stomach. I knew I only wanted my son to receive breastmilk because of the amazing health benefits it gives to babies. However, like most moms, my body did not produce enough colostrum through pumping in the first few days to give my son all the breastmilk that he needed. Luckily, the hospital I delivered at offered donor milk for premature and medically fragile babies. For the first few days of his life, my son received a little bit of my breastmilk, but a lot of pasteurized human donor milk. As my full milk supply came in, I was eventually able to pump enough milk to provide all of my son’s nutritional needs. As he got stronger, he was able to slowly learn to breastfeed, and he left the NICU as a fully breastfed infant! As a pediatrician, I know that safe donor milk helped my son grow and fight off infections in his fragile little body. As a mother, I am so incredibly grateful for the other mothers who graciously donated their breastmilk so that my son could get the best start in life. It is truly the greatest gift of all.